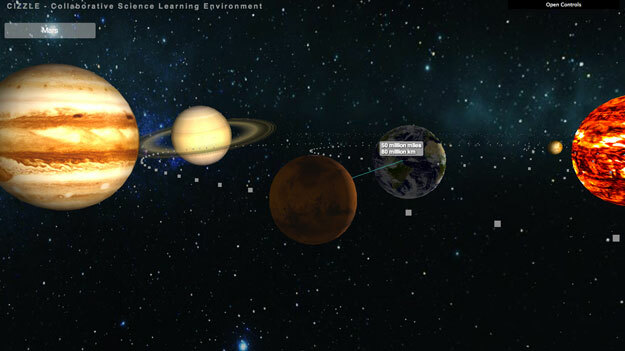 A presentation was made recently at the Future In-Space Operations (FISO) Working Group Telecon titled "SPHERES Overview" by Dr. Alvar Saenz-Otero, MIT SPHERES Lead Scientist. SPHERES (Synchronized Position Hold Engage and Reorient Experimental Satellites) provide researchers with a long term, replenishable, and upgradable testbed for the validation of high risk metrology, control, and autonomy technologies for use in formation flight and autnomous docking, rendezvous and reconfiguration algorithms. Imagine connecting sophisticated weather radars and other sensor data to ultra-high-speed networks so that weather forecasters can more accurately predict natural disasters. Imagine the nation's finest brain surgeon seamlessly operating on a patient in a remote area while sitting in her office thousands of miles away. Imagine an entrepreneur, without the capital for even the most basic start-up expenses, borrowing key business tools from an online software lending library to turn an idea for a new venture into reality. 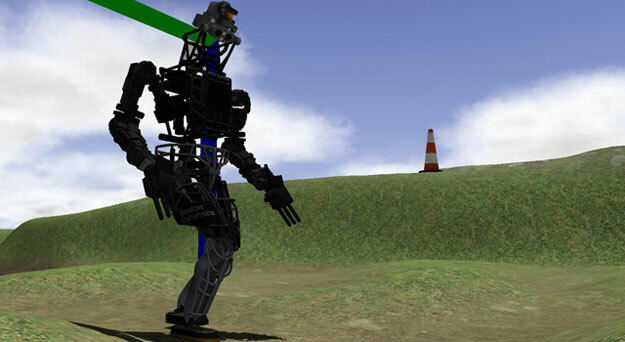 The Defense Advanced Research Projects Agency (DARPA) has selected a group from NASA's Jet Propulsion Laboratory, Pasadena, Calif., as one of the teams entitled to move forward from the Virtual Robotics Challenge, the first event of the DARPA Robotics Challenge. Three students from the Georgetown, Texas, 4-H rocketry club took home gold medals after placing first in the sixth annual International Rocketry Challenge at Le Bourget Airport in Paris. The U.S. team, sponsored by Raytheon (NYSE: RTN), reclaimed the title from the French team, which placed second. The U.K. team finished third. Each team was congratulated by the President of France, Francois Hollande. Three students from the Georgetown, Texas, 4-H rocketry club took home gold medals after placing first in the sixth annual International Rocketry Challenge at Le Bourget Airport in Paris. 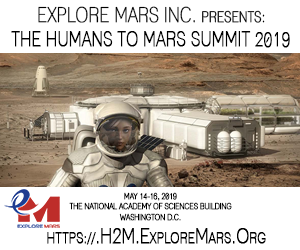 The National Center for Earth and Space Science Education and the Arthur C. Clarke Institute for Space Education, in partnership with NanoRacks LLC, announce an authentic science, technology, engineering and mathematics, or STEM, opportunity for school districts across the U.S. and space station partner nations. After appearing to stall late last week, the Planetary Resources Kickstarter campaign to raise $1 million for the E/PO ARKYD telescope has achieved its initial goal and was pushed over the top overnight. 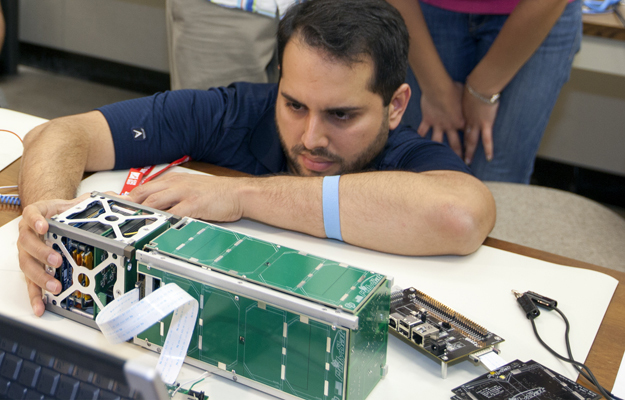 The first 3D printer bound for space passed a series of critical microgravity tests at NASA's Johnson Space Center in Houston, Texas. 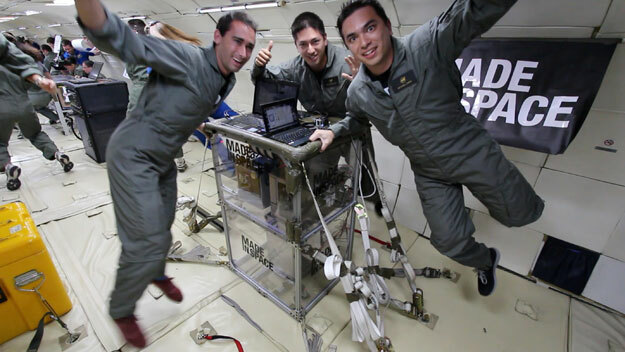 Made in Space, the space manufacturing company, conducted examinations of their proprietary 3D printer technology during four microgravity flights lasting two hours each, simulating conditions found on the ISS. Invited to speak at TEDxChapmanU, Gwynne Shotwell, President and COO of SpaceX talked about science, technology, engineering, and mathematics (STEM) and its importance. A quartet of small satellites, better known as CubeSats, flew high above California's Mojave Desert on June 15 on a demonstration mission to study the launch environment all the way from liftoff to landing. This is the 24th tether test of the Morpheus Vehicle. This test was performed with the "Bravo" version of the vehicle and tested some of the new backup systems. There are two firings in this test, the first firing was soft aborted. This was caused by an imbalance in the fuel load which caused the vehicle to exceed it's tight safety zone. The 2nd firing was a complete success. 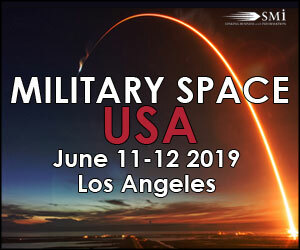 A series of tiny satellites equipped with an array of sensors will take a jarring ride above the California desert on a small rocket June 15 and tell designers whether they are on track to launch into orbit next year. Registration is now open for teams wishing to compete in the $1.5 million energy storage competition known as the Night Rover Challenge, sponsored by NASA and managed by Cleantech Open of Palo Alto, Calif. Registration for the competition will close October 25, 2013. Secondary-school students can play the ultimate robot game: the annual Zero Robotics tournament turns the International Space Station into a playing field for European students to control minisatellites with self-developed software. 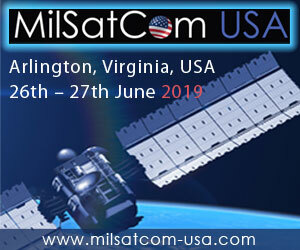 Using satellite data to find areas of thermal updraft to fly gliders is just one of the innovative ideas developed over the week-long 'camp' to help bring Earth observation to the everyday user. 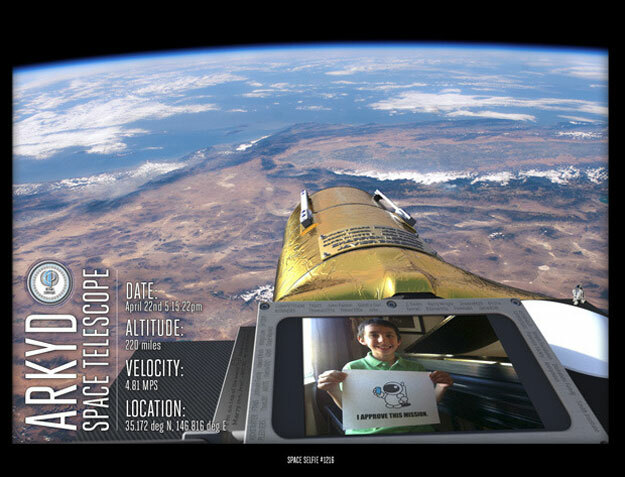 In its second year, the App Camp saw 20 developers from 16 countries convene at ESA's ESRIN centre in Frascati, Italy. 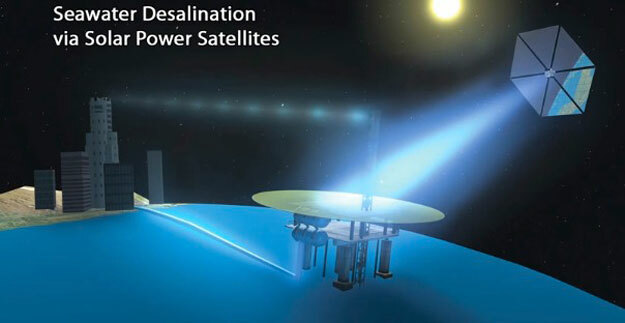 The SunSat Design Competition is a new international competition designed to accelerate the conceptualization, manufacture, launch and operation of the next-generation satellites that will collect energy in space and deliver it to earth as a non-polluting source of electrical power. The first rule of DIY: know where your tools are. 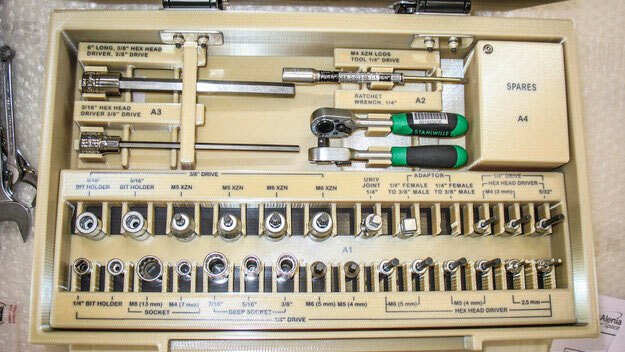 Astronauts on the International Space Station are about to have that task made much simpler, with a purpose-designed 3D-printed toolbox due for launch today on ESA's latest ATV resupply spacecraft. 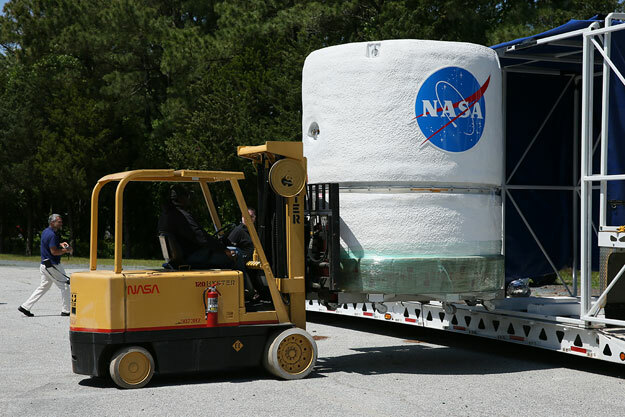 The NASA Lunar Atmosphere and Dust Environment Explorer (LADEE) arrived today at NASA's Wallops Flight Facility to begin final processing for its trip to the moon later this year.